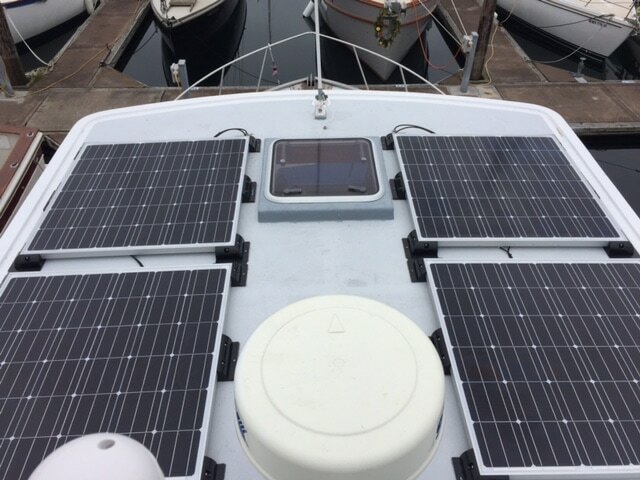 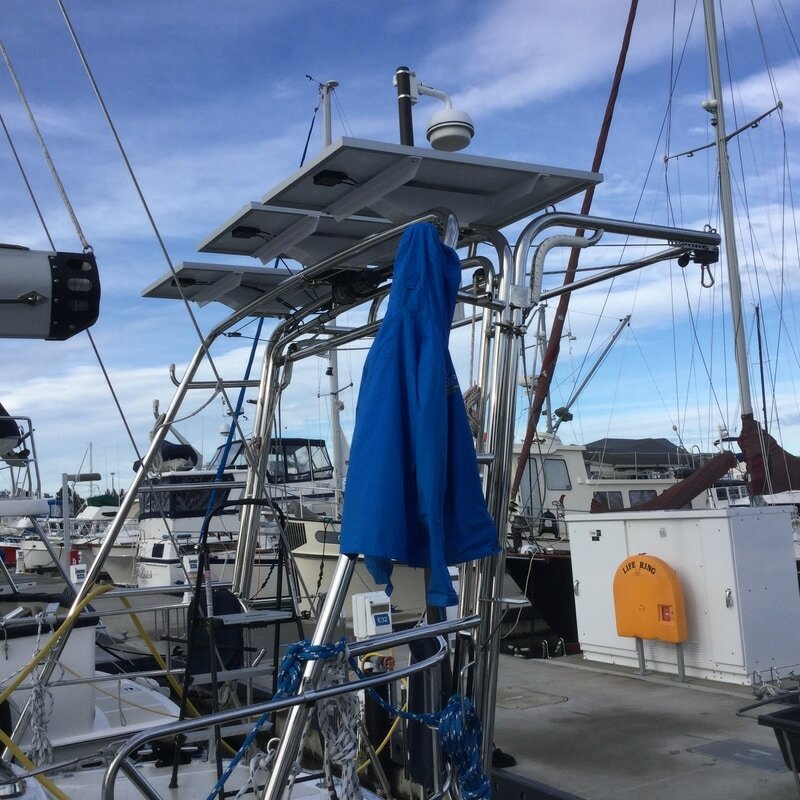 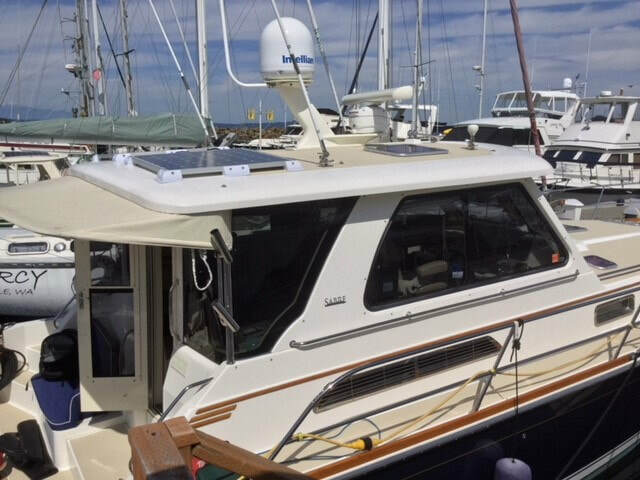 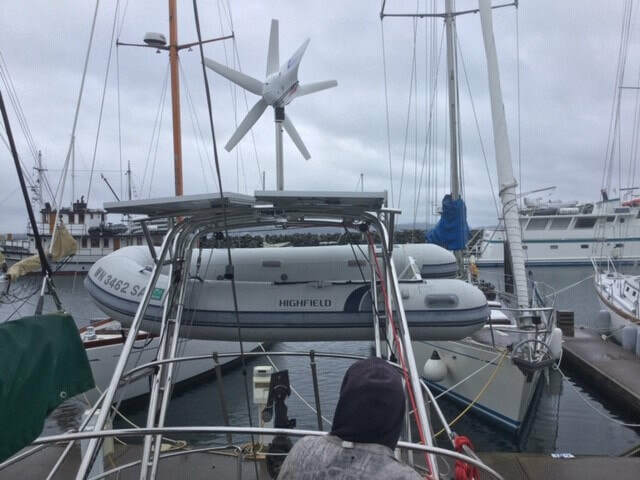 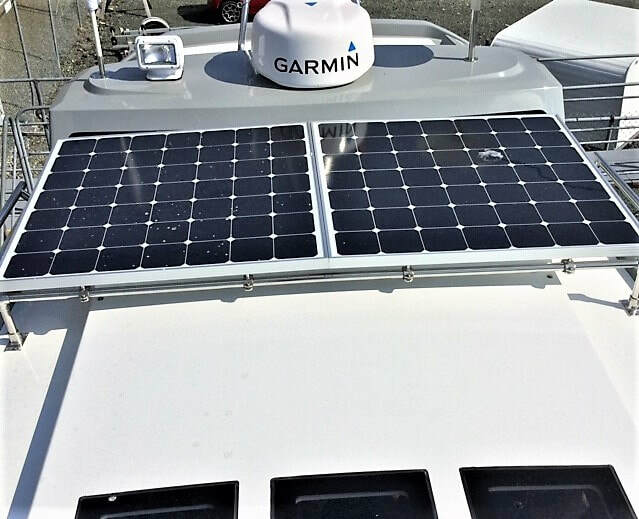 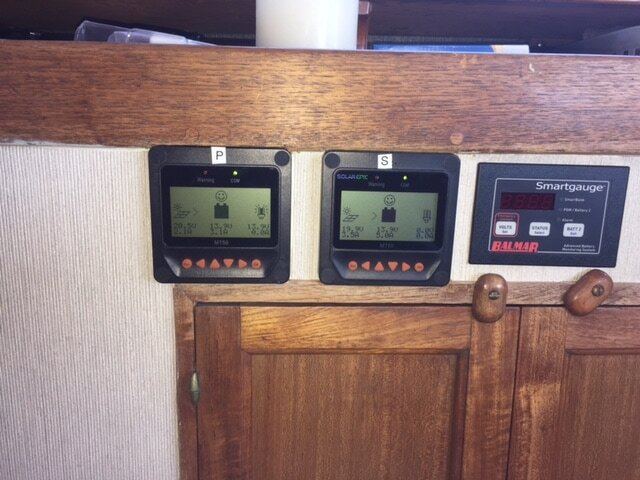 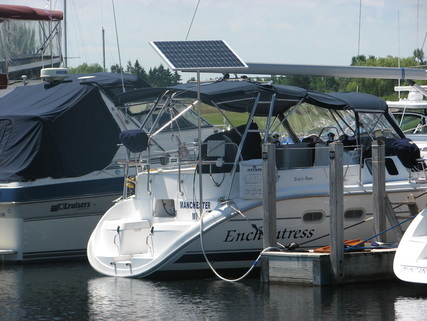 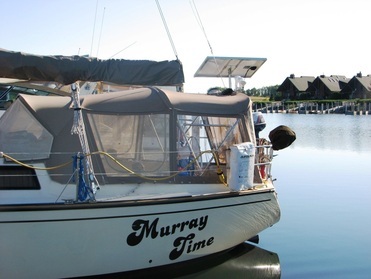 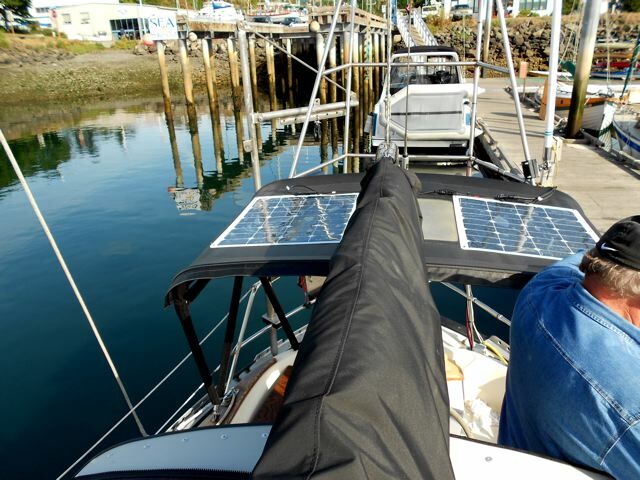 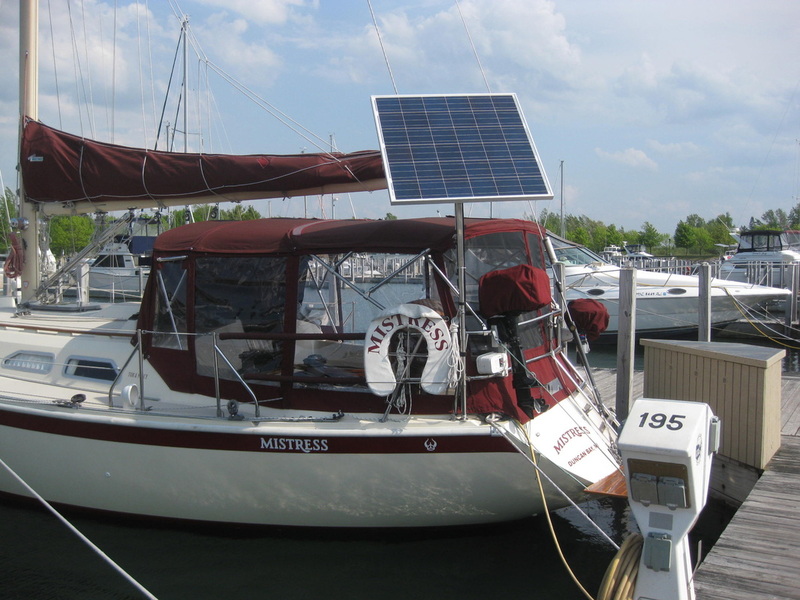 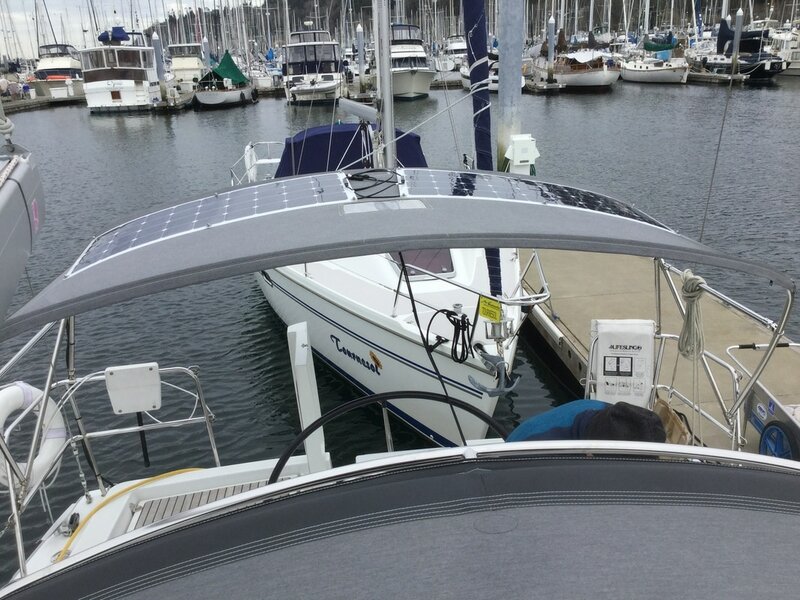 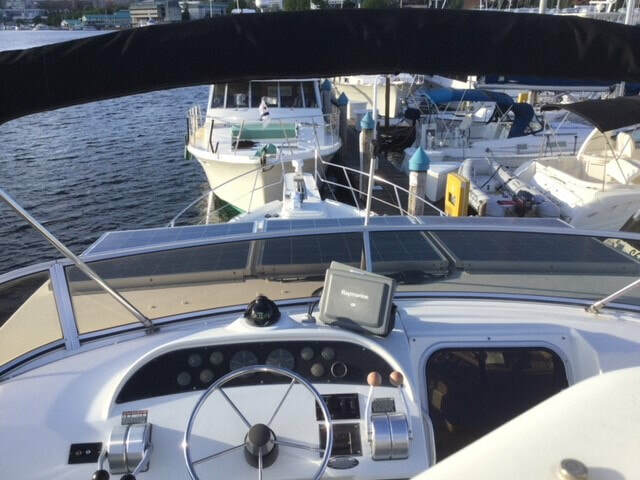 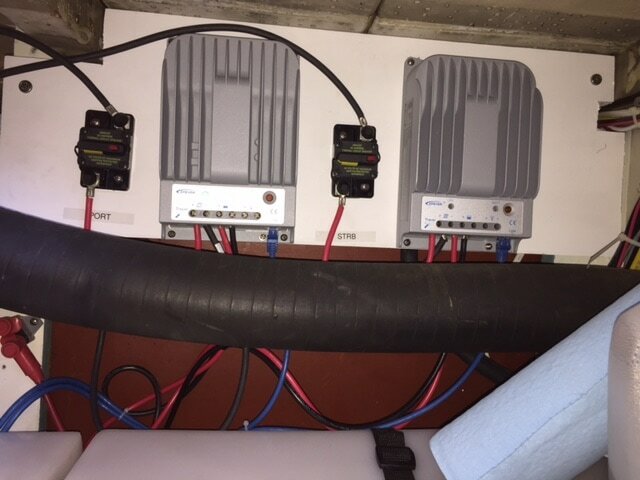 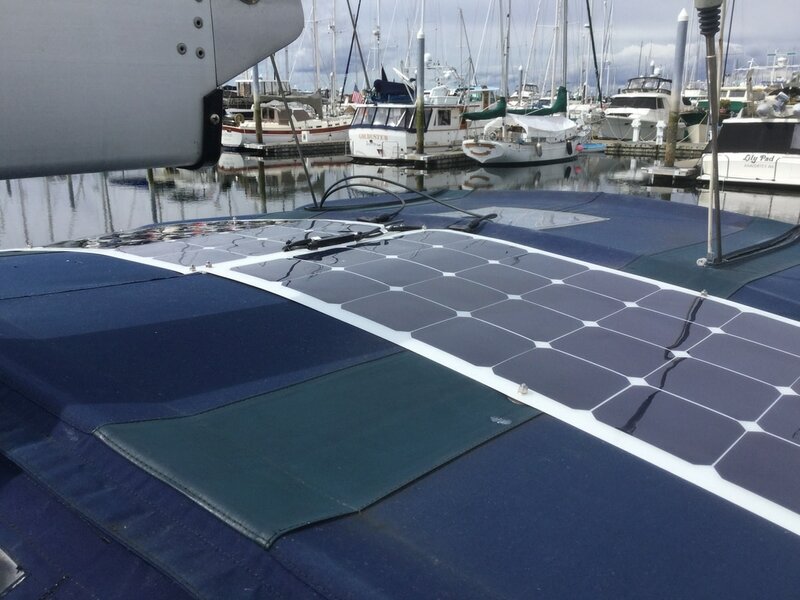 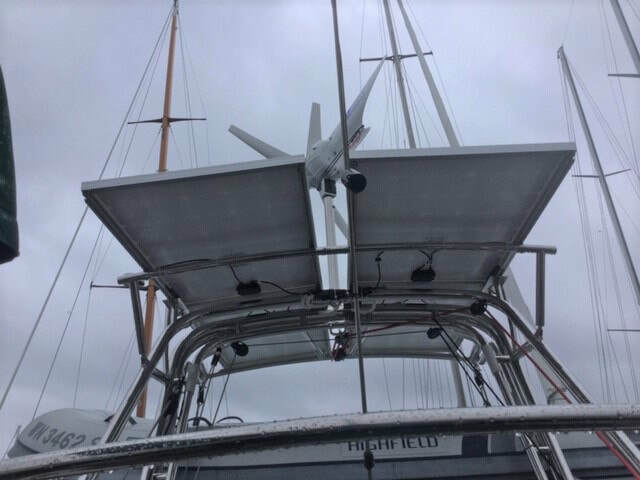 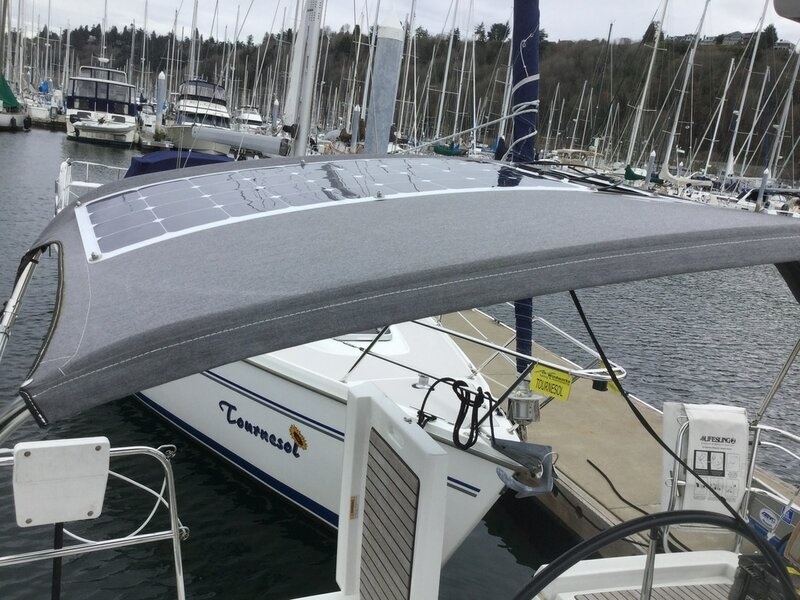 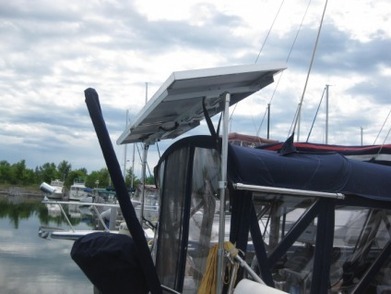 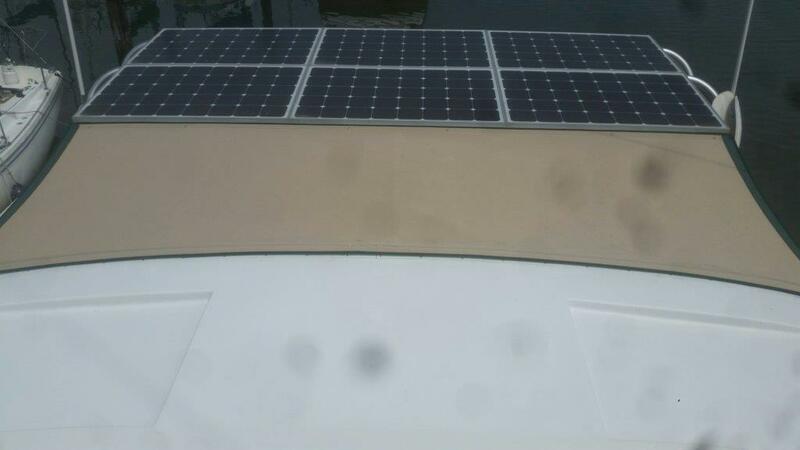 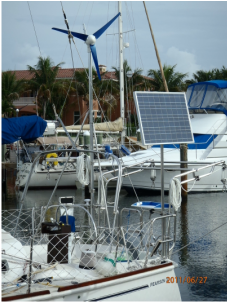 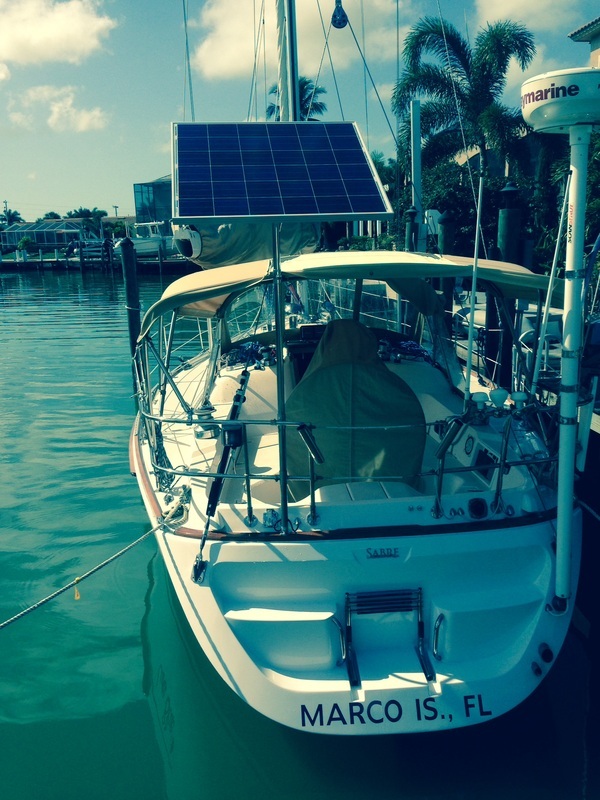 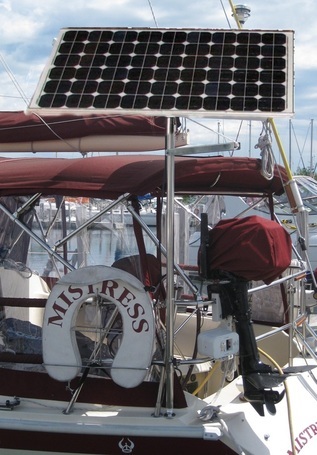 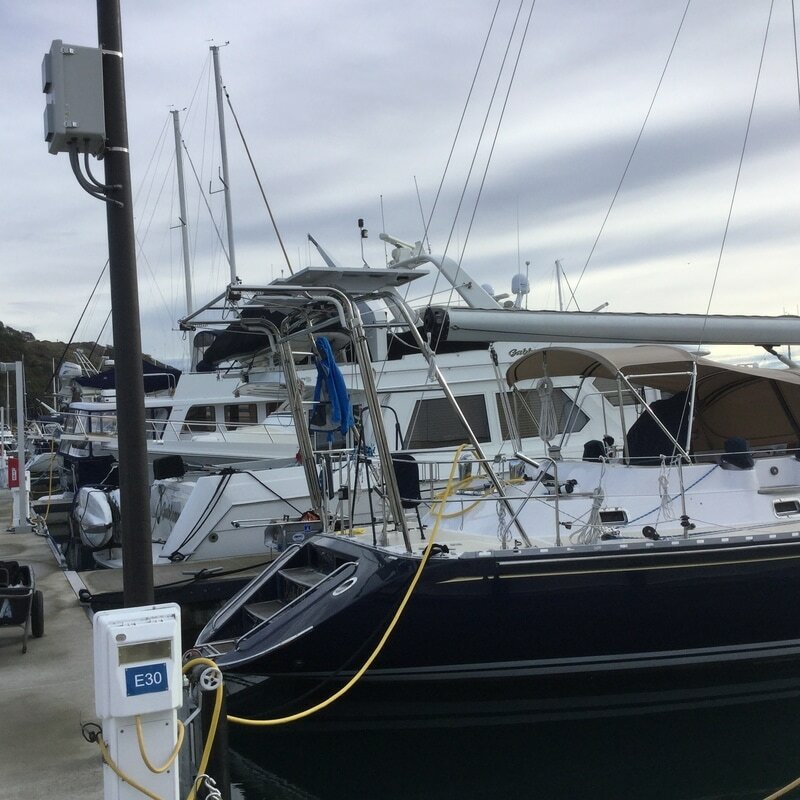 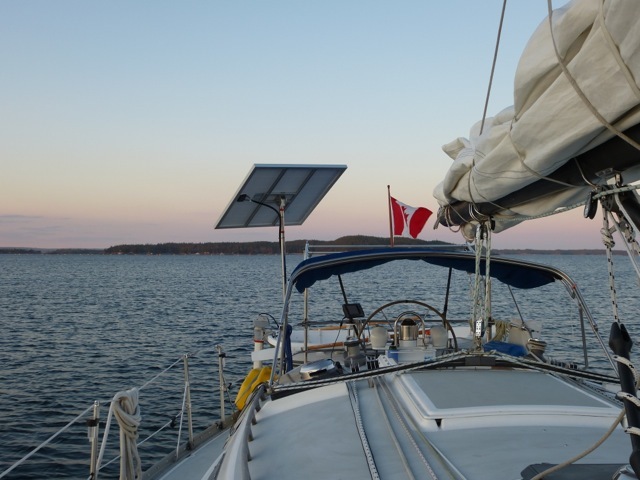 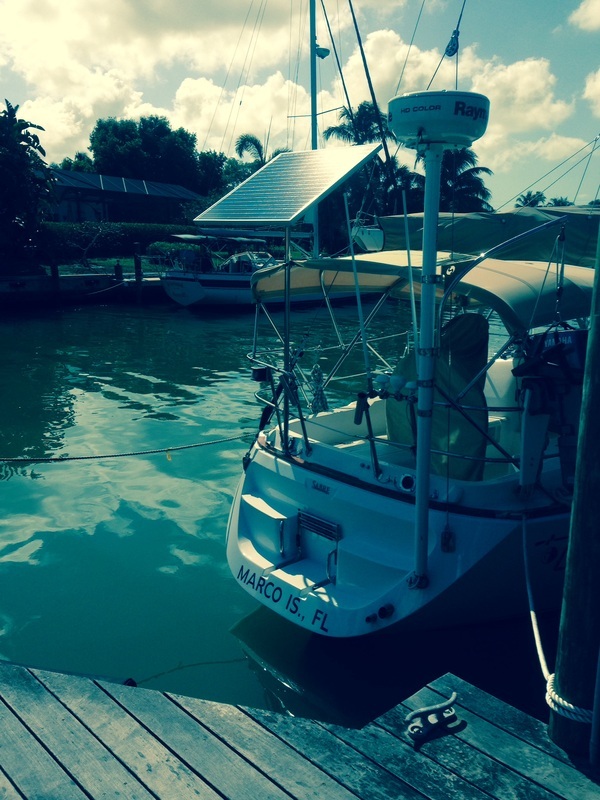 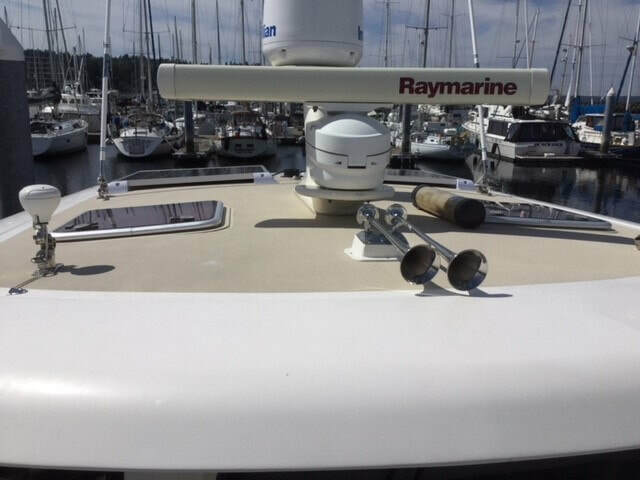 Marine Solar Panel Installations - First Mate Marine Inc.
We continue to collect pictures of our customer's solar panel installations. 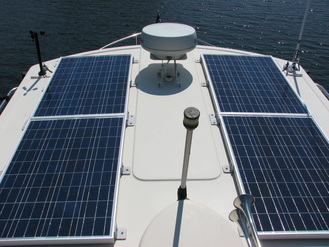 Our hope is that these will provide ideas and alternatives for designing and installing solar panel systems. 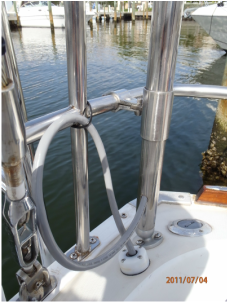 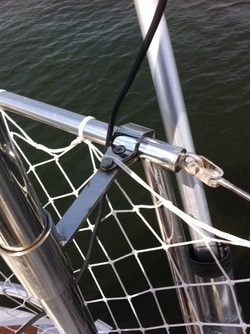 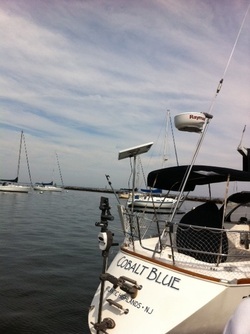 Please send pictures of your installation to us at info@custommarineproducts.com and we will share them. 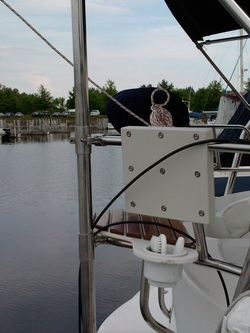 See our Customer Comments section to see what customers are saying about our products and service. 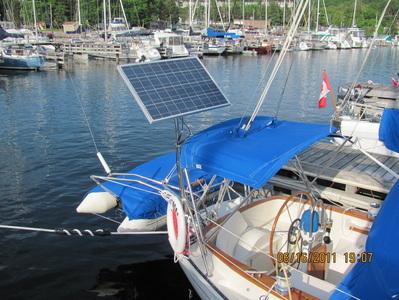 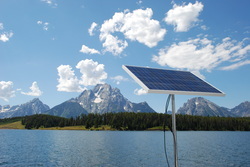 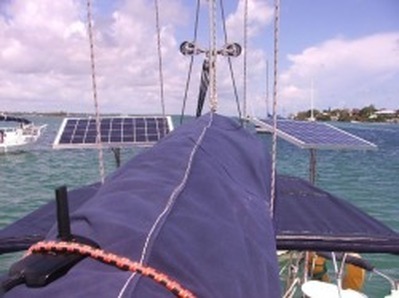 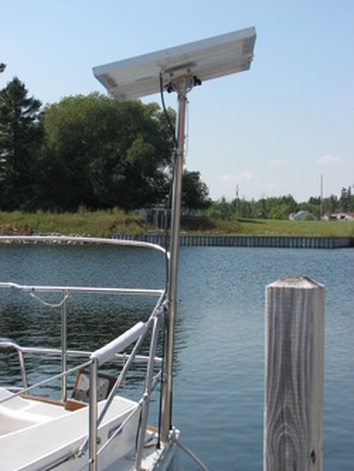 Two 110 Watt Flecible Solar Panels on an Island Packet 42 Using the Bolt-on Method of Attachment. 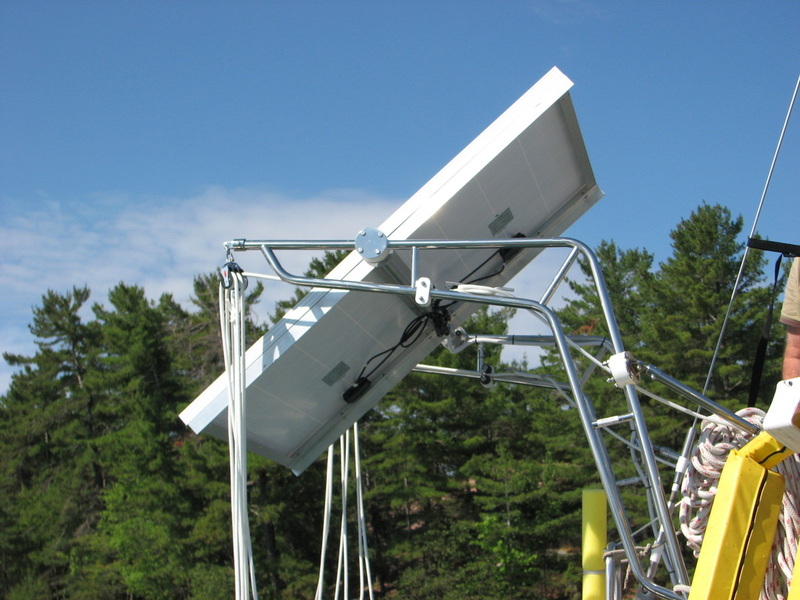 Solar Tracking Mechanism for Panels such as the CMP 130W and 140W Rotate and Tilt Panel for Optimum Sun Angle. 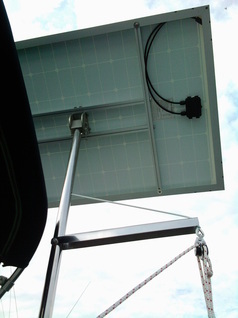 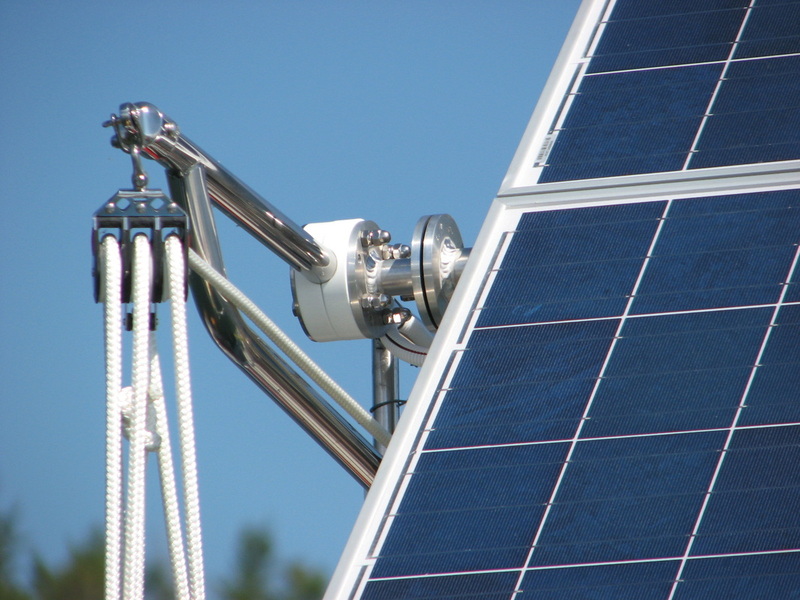 Wind Generator and 140 Watt Solar Panel both using CMP top-of-pole mounting system. 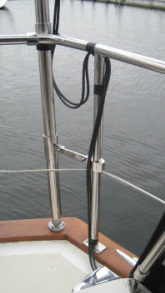 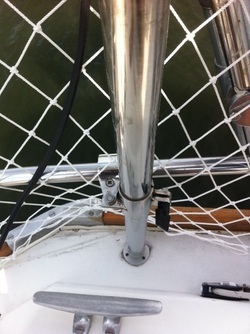 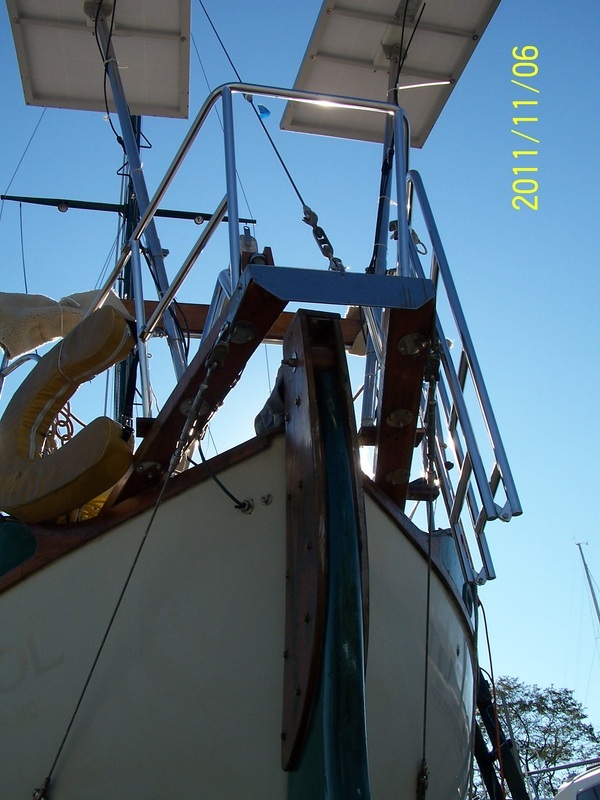 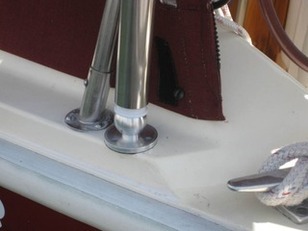 Struts added to strengthen stern rails. 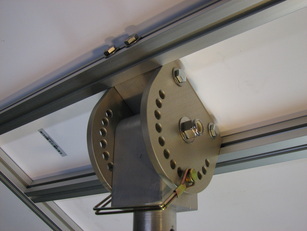 Close-up of the tilt mechanism. 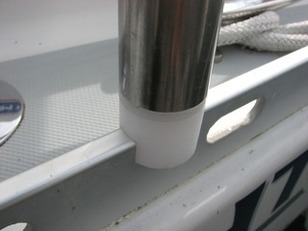 Pin goes through two discs. 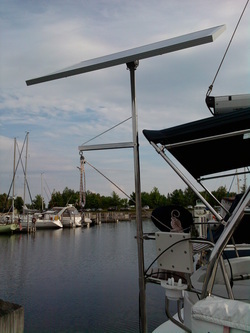 An interesting cantilevered mount built by David Grains. 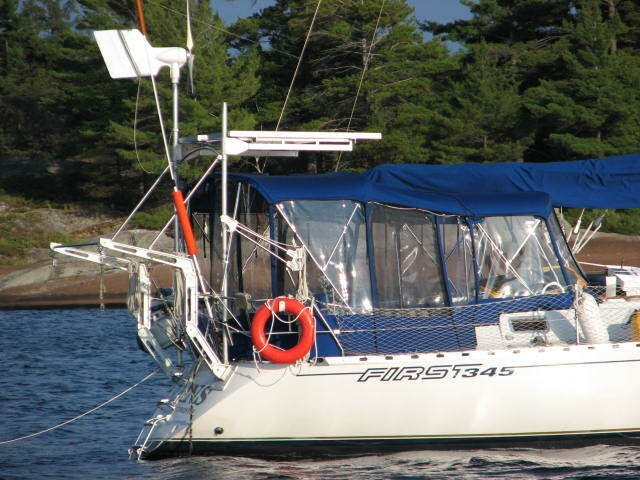 This was seen in the North Channel area of Georgian Bay. 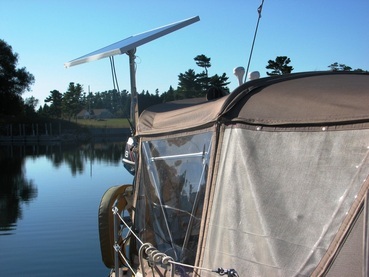 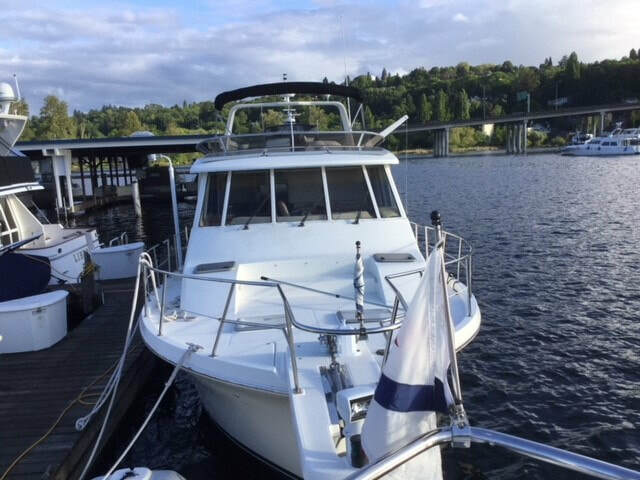 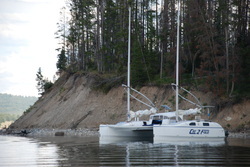 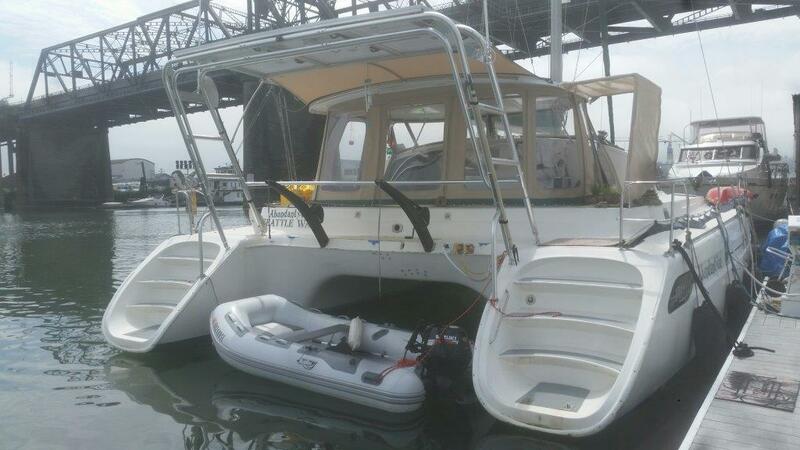 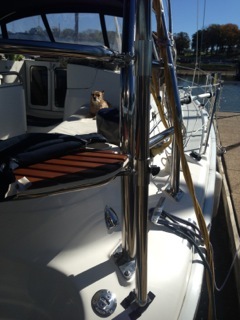 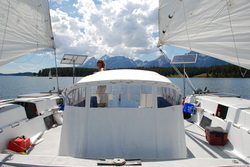 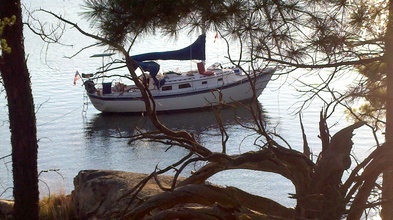 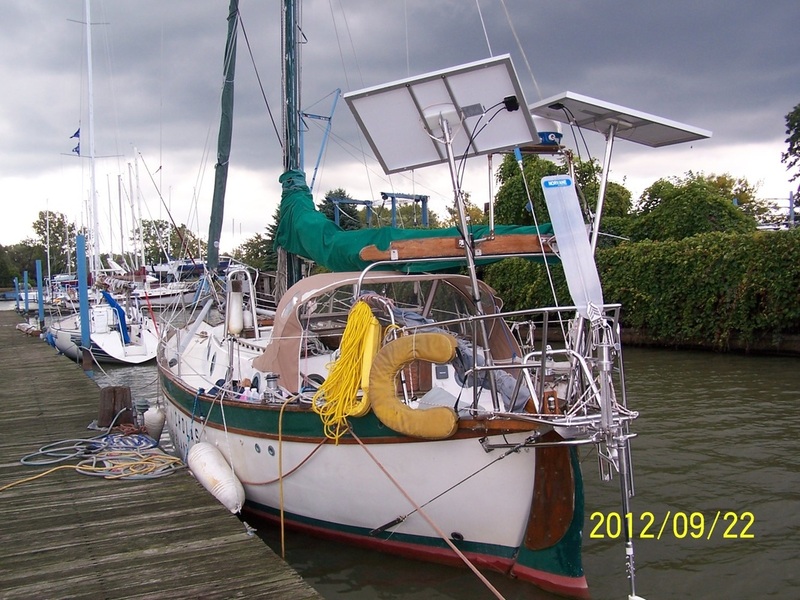 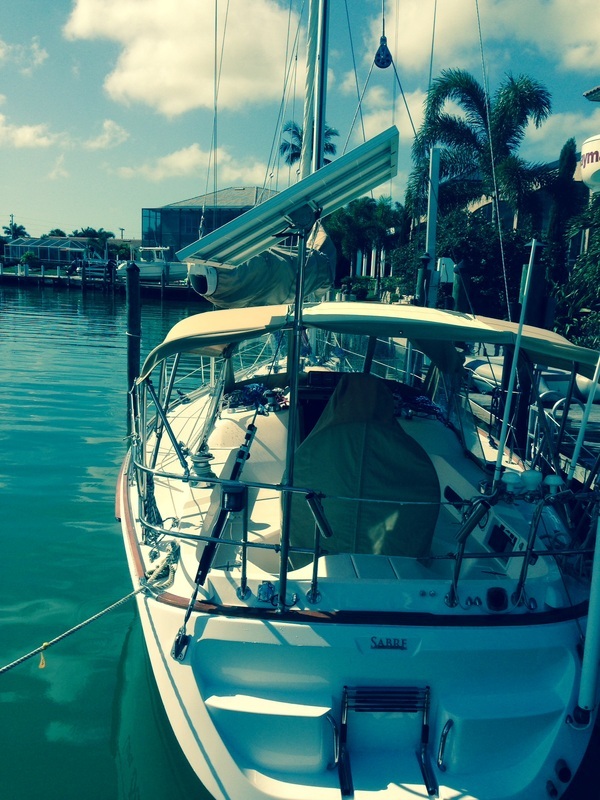 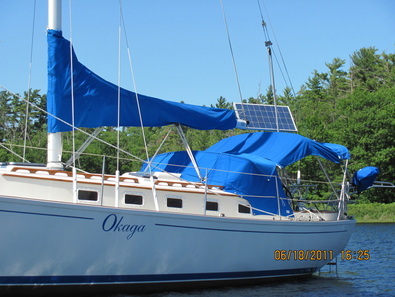 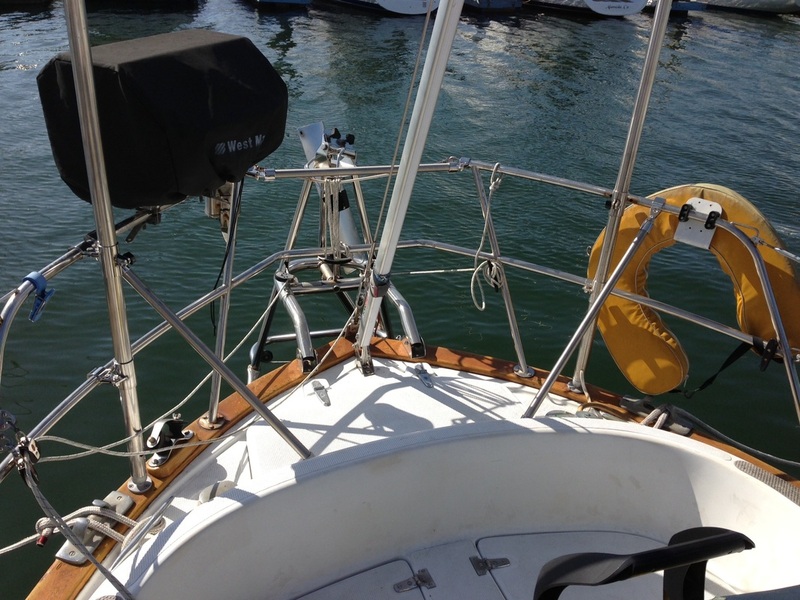 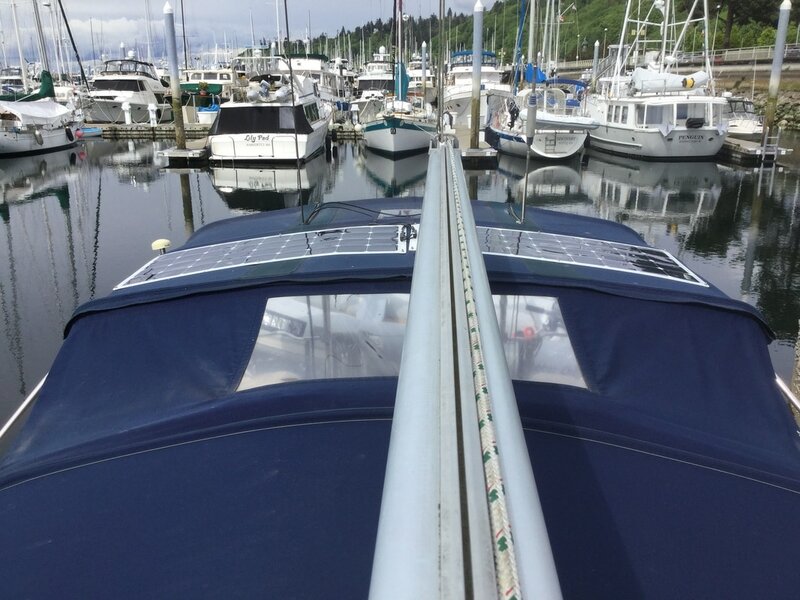 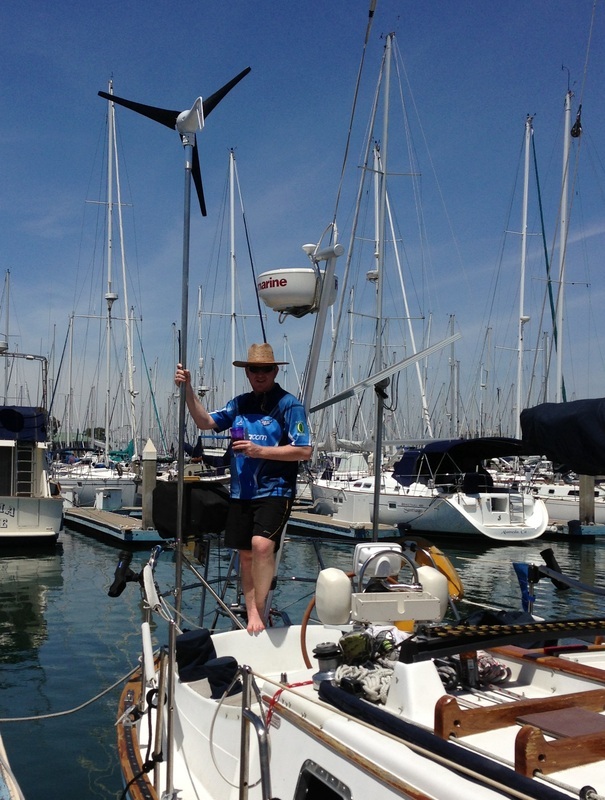 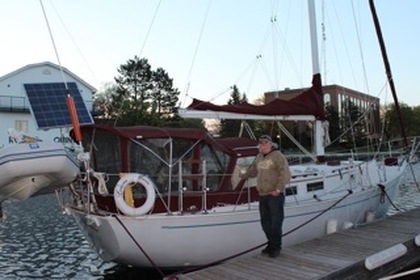 David has two panels cantilevered over his bimini. 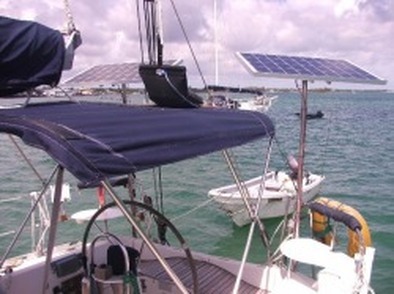 They are separated so he can still see through the bimini window to his sails. 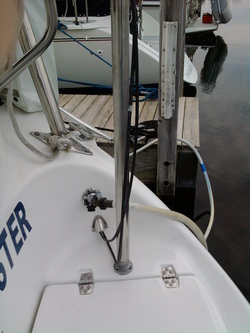 He has a considerable number of struts supporting the two supporting poles. 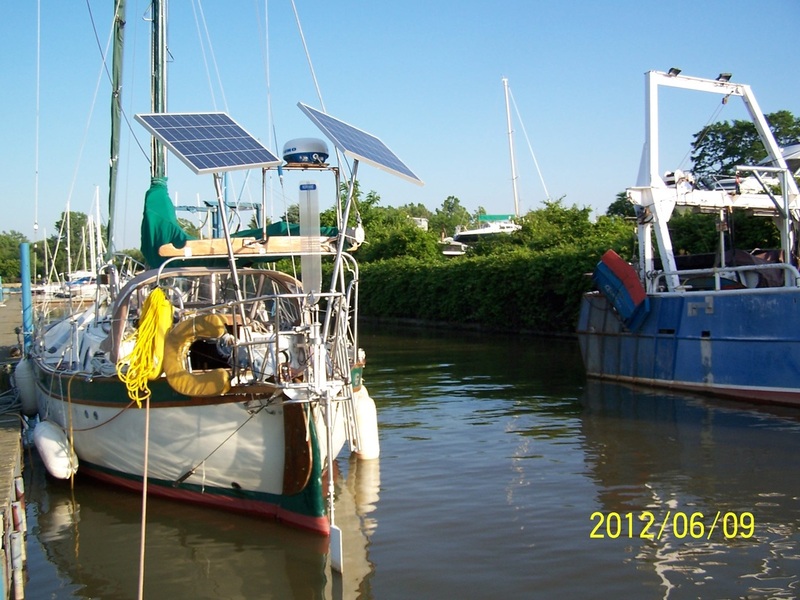 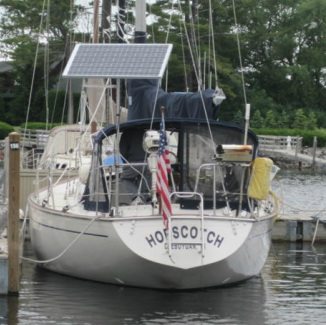 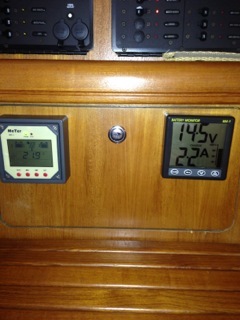 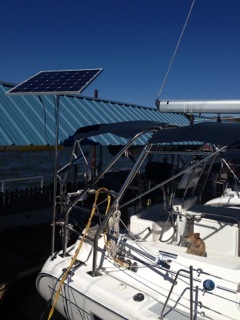 Two 75 Watt Solar Panels on a C&C 375.